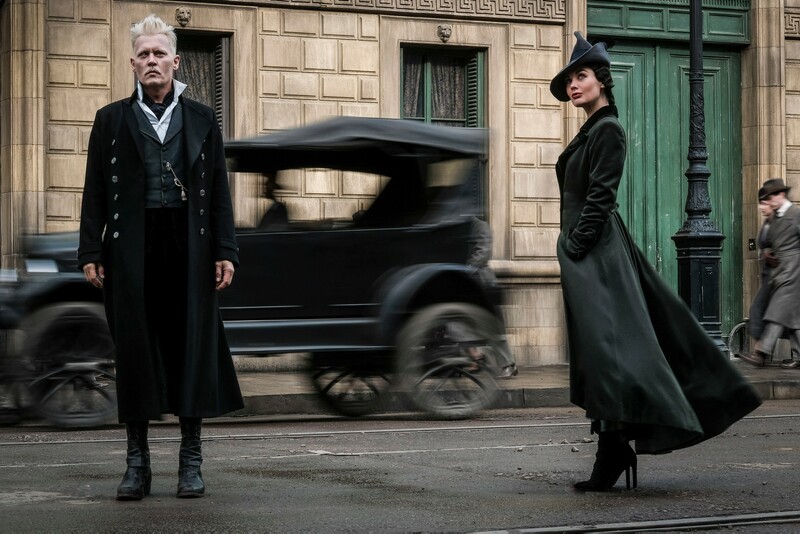 Yesterday’s final trailer for Fantastic Beasts: The Crimes of Grindelwald confirmed what fans had been speculating ever since that first shot of the cast was released: that Claudia Kim’s suspiciously serpentine character is the human form of Voldemort’s pet snake and Horcrux Nagini. The news came alongside an interview with Kim in EW where she explained that Nagini can shapeshift into a snake but fears one day she’ll be unable to transform back to her human form. Interesting stuff, and perhaps opening up a whole new story query as to why Nagini’s family was cursed with such an awful condition. Right now, Nagini’s the only such character in the Harry Potter universe to suffer from this curse, so it must be a pretty rare thing to happen to someone. Given that Nagini seems to have no formal training in magic, it’s no surprise that she and Ezra Miller’s Credence Barebone form a friendship. After all, they’re both outsiders dealing with conditions that the world at large finds terrifying and would like to stamp out. There’s an awful lot going on in Fantastic Beasts: The Crimes of Grindelwald, including the young(ish) Dumbledore’s relationship with Grindelwald, a return to Hogwarts and of course, the continuation of Newt Scamander’s story, but I hope the film finds enough time to delve into the fascinating-sounding history of Nagini, who seems to be a more tragic figure than her destiny as Snake monster and murderer of Severus Snape might indicate.